A number of names have been floated for the Republican vice presidential spot, including New Jersey Gov. Chris Christie, Indiana Gov. Mike Pence, and Alabama Sen. Jeff Sessions. 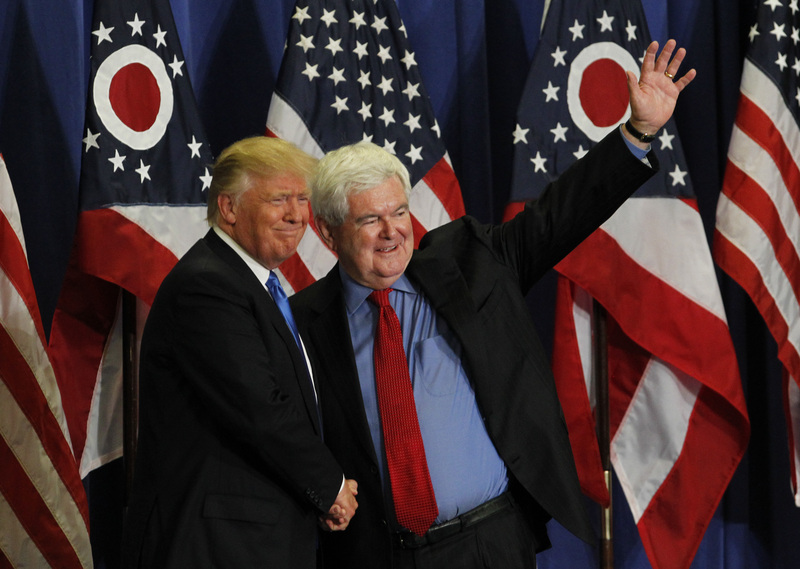 But on Tuesday, we got a big clue that Newt Gingrich may be Donald Trump's running mate. CNN's Brian Stelter reported that Fox News was terminating its contract with the former speaker of the House, who is a regular contributor, because of the vice presidential buzz. The network released a statement from executive vice president for news Jay Wallace to Stelter: "Due to the intense media speculation about Gingrich's potential selection as Donald Trump's vice presidential candidate, we felt it best to halt his contributor role on the network to avoid all conflicts of interest that may arise." Now, by no means is Fox News and Gingrich's "mutually agreed to" (as Fox News put it) suspension of the latter's contract irrefutable evidence that Trump has tapped Gingrich to be his running mate. But experts and analysts on Twitter quickly pounced on Stelter's news. Gingrich is a known VP favorite, and many have noted that his two decades in Congress would provide the legislative experience which Trump lacks, which many voters may find disconcerting. Gingrich served as speaker of the House, overseeing the first Republican takeover of the House of Representatives in 40 years. Gingrich himself ran for president in 2012, but lost the GOP nomination to Mitt Romney, who has been an outspoken Trump critic this election cycle. While Trump has yet to formally announce his vice presidential pick, he is expected to do so sometime this week.